The lovely island of Crete offers endless opportunities for resting in tranquillity but adrenaline-fueled activities as well. It is a real heaven for those looking for a challenge and outdoor fun. So, if lying on the beach and going for short swims is boring for you, this holiday destination promises thrilling adventures and heart thumping. 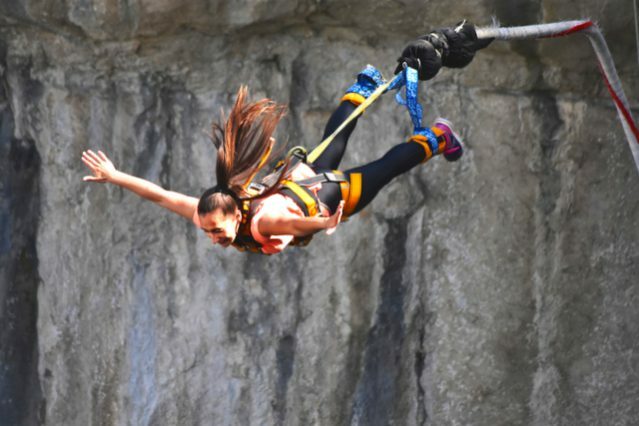 One of the most exciting sports and things to do in Crete for all adventure seekers is bungee jumping. Many experienced and inexperienced jumpers visit Aradaina bridge in Chania to get their adrenaline pumping. With a height of 138m, it is the highest in Greece, and the second highest bridge in Europe created for this sport. The bridge is set above a wild gorge, and the whole landscape is breathtaking. Jumps are held from July until August, during weekends, from 12:00 until 17:00h. In June and September only organised jumps take place. 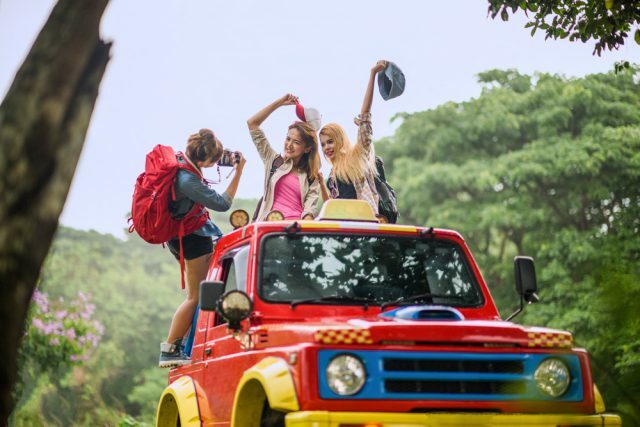 There are several jeep safari tours that companies offer in Crete, and they are a great way to experience the natural beauties and top attractions this island offers. Sarakina Route. If you choose this route, you are going to explore springs, gorges, caves, traditional villages and learn about its mythology and local life. Chania Route. During this Jeep tour, you will enjoy amazing landscapes, visit several villages, meet Crete’s wildlife, and learn about the island’s tradition. Preveli Route. On this journey, stunning palm beaches, gorges, and mountains are waiting for you to explore. You will go swimming, taste raki, and much more. If you love to adventure on the ground, going on a jeep safari is the perfect way to have some fun and create unforgettable memories. 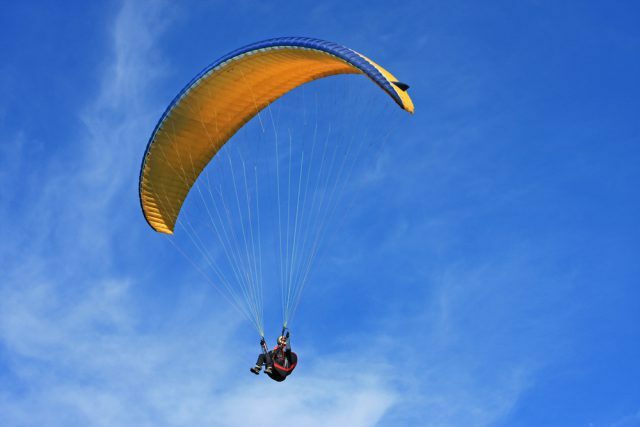 Paragliding in Crete is another of the sports and things to do in Crete for both, parents and children. 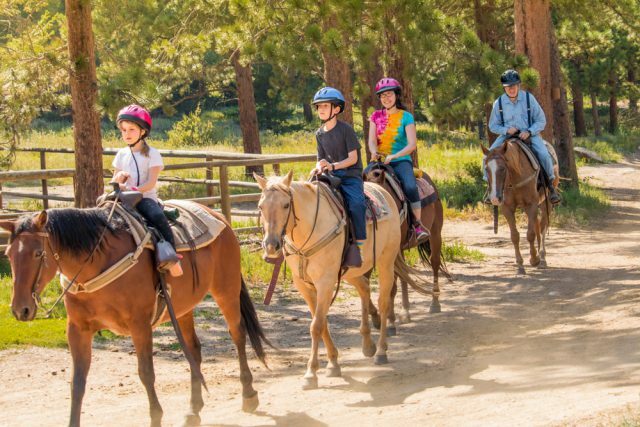 It is a great way for families to enjoy together a day full of adventure. This lovely island has plenty of slopes which are perfect for this sport, and the most popular spot is the area of Avdou by Hersonissos. The wind in Crete simply always blows the right way for this sport. If you are a beginner, there are many companies that offer lessons from experienced instructors. There are also contests organised by some clubs and companies for those that are experienced. The island of Crete offers great potential for rock climbing. It will amaze you with its rich nature and breathtaking landscapes. There are numerous spots where you can do this action sport. Mount Gigilos. Here you will find routes which are 600-1500m long. Around the area, there are many loosening rocks, so it is recommended that only climbers of advanced level take this route. Kapetaniana. This track is located around Kapetanina Village. It offers a peaceful atmosphere, and there are over 130 routes. Agiofarago. On this gorge, there are long routes for beginners and experienced. Different climbing styles including climbers steep walls, slabs, and overhangs are awaiting you here. At the end of the journey, you will get to a lovely secluded bay with bright blue waters and fine sand. 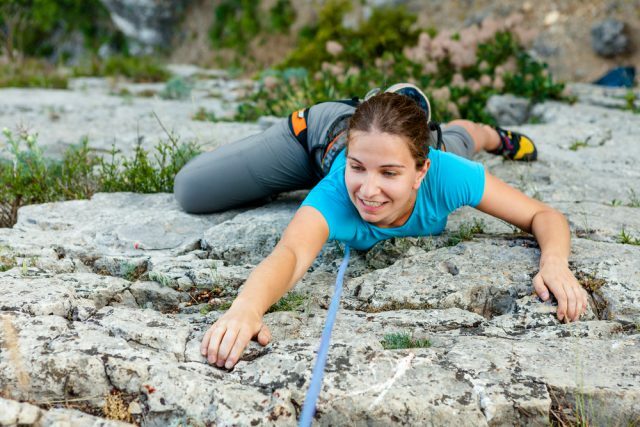 Crete is a perfect choice for those who like to combine their holiday and leisure time with rock climbing. Simply contact the clubs which offer equipment and enjoy life to the fullest. Going kayaking on Crete, you will get the chance to experience the island from another perspective. You will enjoy its fantastic natural beauty, and visit some attractions that are accessible only by water. 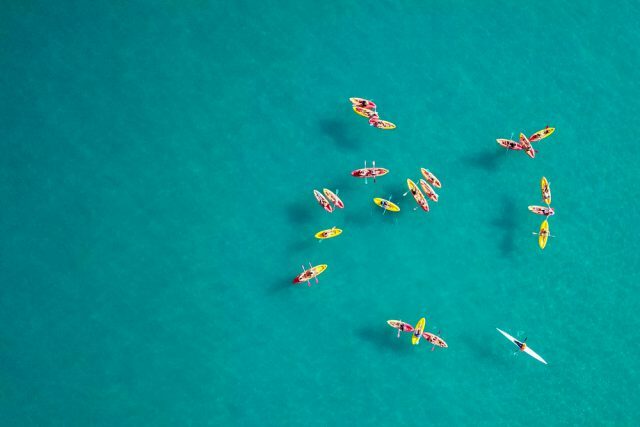 On this island, you can go kayaking all year round. Kayakers of different levels can float on the crystal waters of the Aegean Sea. There is also kayaking in rough conditions which only experienced paddlers can take. 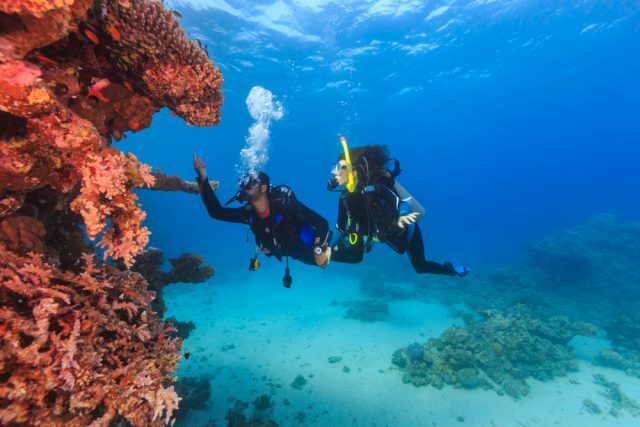 Among the other things to do in Crete, you can also go diving and explore the beauties of its underwater world. This island offers numerous diving sites that will take your breath away. El Greco Cave. It is a spectacular cave which is 30m long. Here you will get the chance to spot different flora and fauna including lobsters, morays, and tuna fish. If you like night diving, this is an excellent place to be but only for advanced divers. Big Anchor. Crystal clear waters, an ancient anchor which is more than 400 years old, and rich marine life are awaiting you on this diving site. Mononaftis. This is a perfect spot for inexperienced drivers and beginners since here the water is shallow. You will explore different rock formations, small caves, scorpion fish, octopus, etc. The Aegean Sea has great visibility, so take your underwater camera because amazing views are expecting you on these amazing spots. Our last recommendation on things to do in Crete for adrenaline seekers is horseback riding. This is a sport for different levels of experience. For the beginners, lessons by professional instructors are available on the island, and there are guided tours as well. Explore the rural areas with olive trees and amazing beaches while you are sitting on the back of a horse. If you choose this sport, then you are going to have one of the most unique experiences in your life. There are plenty of things to do in Crete. However, among the many attractions, this island offers a range of adrenaline pumping activities. Whether it is bungee jumping, jeep safari journey, paragliding, rock climbing, kayaking, diving or horseback riding…simply choose what you prefer and create some unique memories for a lifetime. Wait no more. Check out our lovely Beach Villas on Crete and book your favourite now.